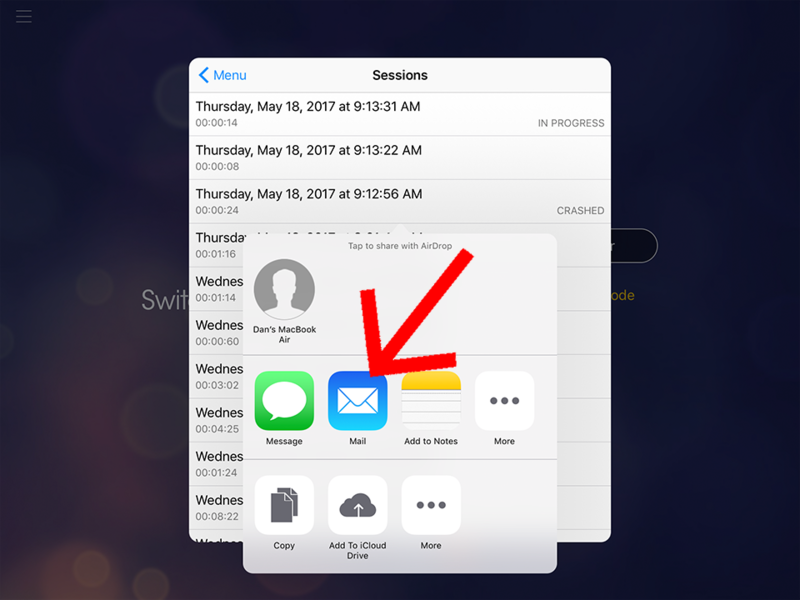 If you experience an issue in Switcher Studio causing the App to crash. You can now send us a report to help fix your problem in the future. To do so, after the app has crashed, reopen the app. In the upper left you will see an icon with three lines, tap on that icon. 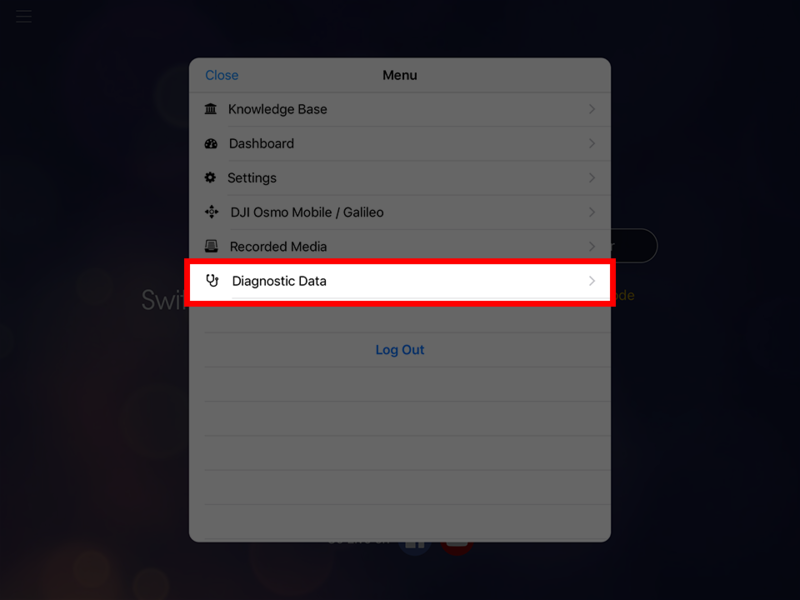 From the next menu, tap on Diagnostic Data. 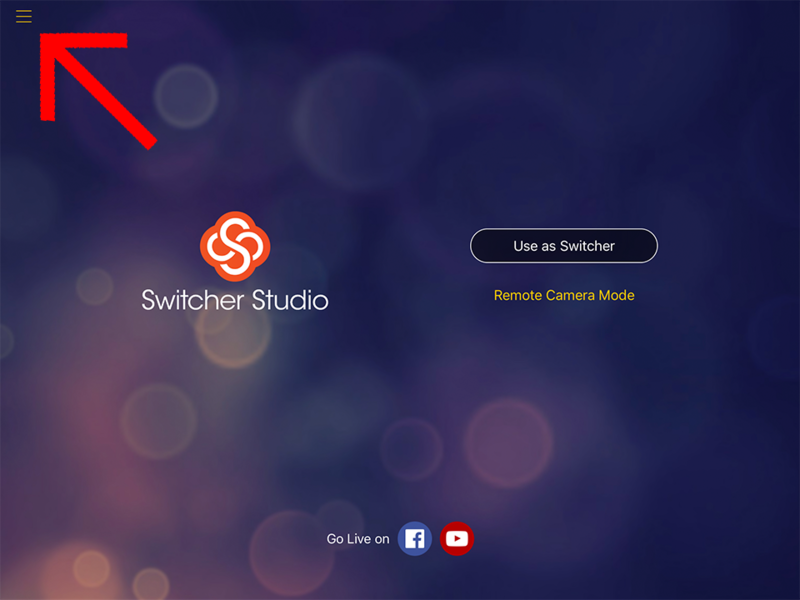 Here, you will see a log of all your Switcher Studio sessions. 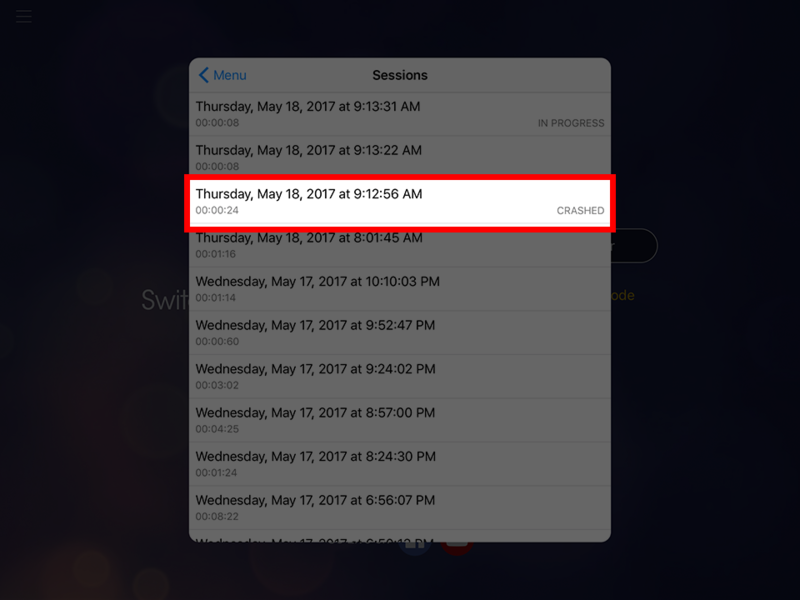 Select the session that has crashed next to the name. Next you will get the option of how you would like to send us the file. I recommend sending it via the email client. Make sure to send the email to [email protected] along with any information you can give us about what happened during your app crash.